The Bulgarian parliamentary economy committee has adopted at first reading the Socialist proposal for amendments to the Health Act pertaining to smoking in public places. The proposal has been passed with eight votes "for," four "against" and one "abstained." According to the new text, tabled by the Member of the Parliament from the Bulgarian Socialist Party, Spas Pantchev, the smoking ban will remain in force for administrative buildings, offices, kindergartens, schools, hospitals, and fast food restaurants, but will be lifted for establishments whose area is under 70 square meters. Their owners willl be able to choose if the establishment will be smoke-free or not. Larger establishments must have a ventilation system and a rigid partition between spaces that separate smokers from nonsmokers . Smoking will be allowed in casinos and nightclubs, where a partition is not even required. 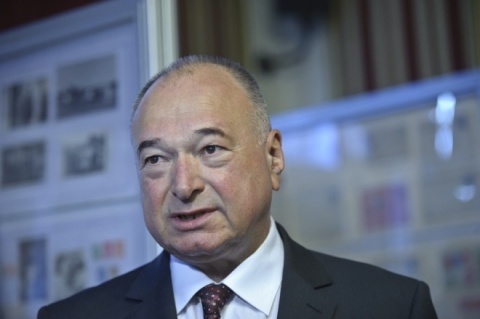 From all BSP members of the committee, only Georgi Kadiev has voted "against" the changes. The arguing between club owners, MPs, and civil initiatives against smoking, has been fierce and lasted for an hour and a half. All motives of both sides "for" and "against" the liberalization of the smoking regime and its the economic effects have been put on table once again. One week ago, the Bulgarian Socialist Party moved to parliament an amendment to the Health Act to ease the full ban on smoking in public places in the country. The draft amendment was signed by nine Socialist members of parliament in a highly controversial move, believed to be orchestrated by people in sectors, hurt by the ban. The full smoking ban was introduced in June 2012 by the Citizens for European Development of Bulgaria party, GERB, government of former Prime Minister Boyko Borisov.